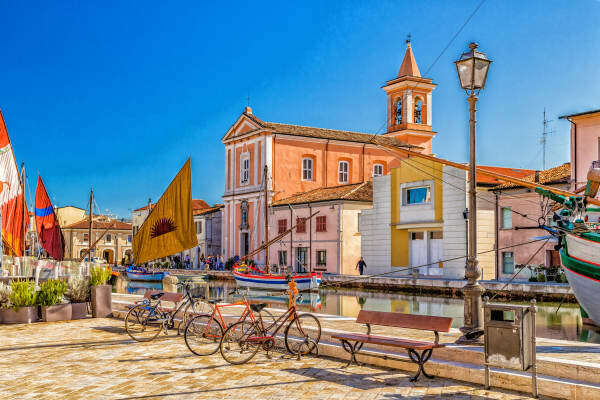 This beautifully picturesque historical centre boasts a wonderful soft, sandy beach, fabulous restaurants and close proximity to water parks and amusement parks. 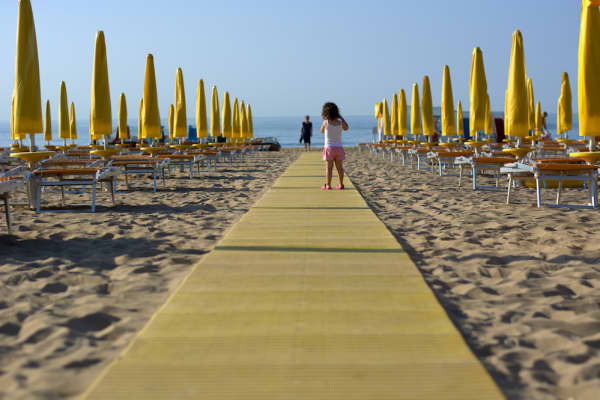 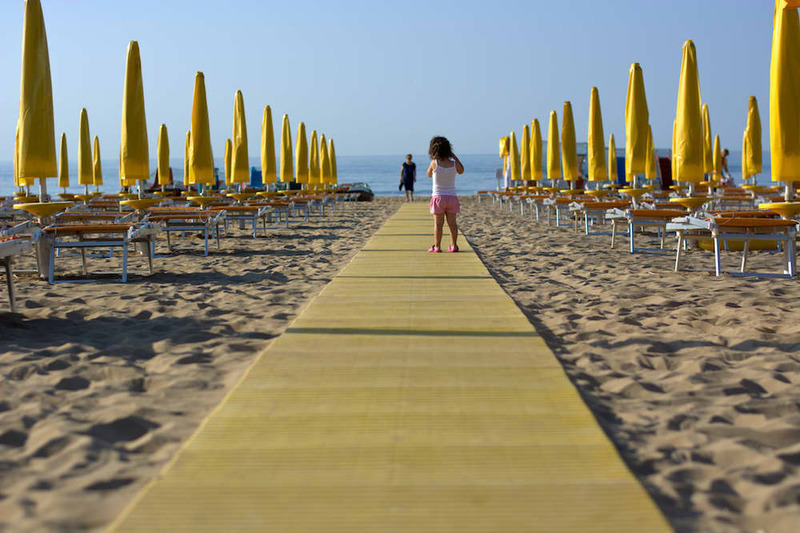 Perfect for both kids and adults, Cesenatico is a little gem on the Adriatic Riviera. Cesenatico is home to a beautiful harbour port so pretty, it is believed to have been designed by Leonardo da Vinci. 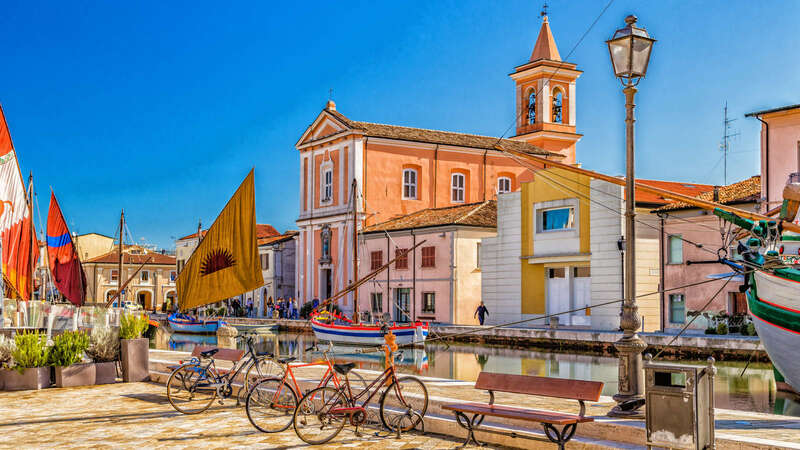 Lined with historical boats, the harbour provides the perfect backdrop for the delicious fish restaurants renowned throughout Italy, that surround it. 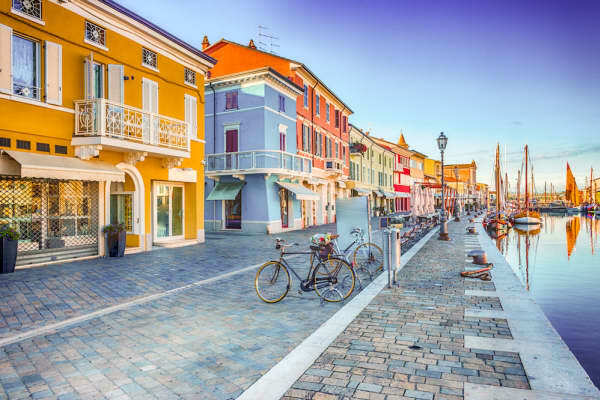 The perfect area to stroll lazily around, Cesenatico has a quaint fishing village atmosphere but is contrasted by the modern urban structures that are sprinkled around. 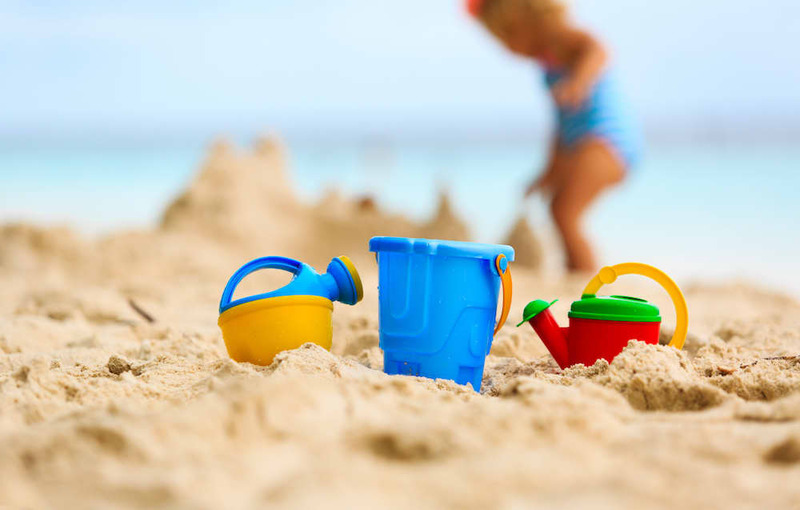 The area's soft sandy beach is the stuff of sun holiday dreams! 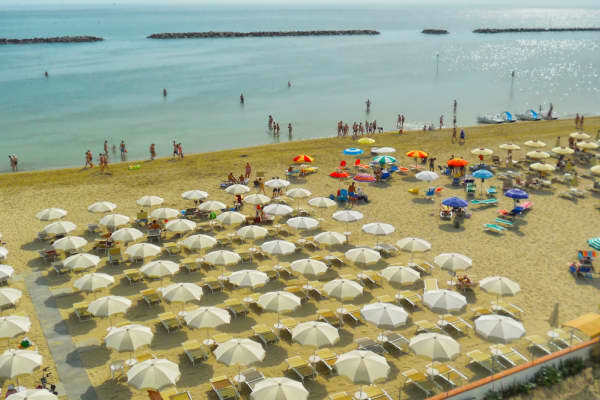 With a 7km stretch, there is plenty of space for visitors to pull up a sun lounger and lie under a parasol while the waves gently lap and the sun works its relaxing magic. 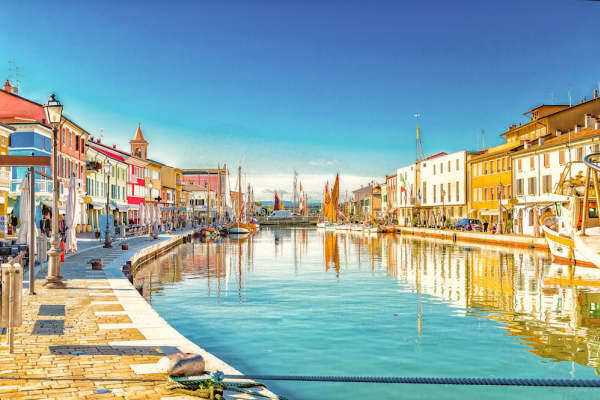 Quaint and postcard-perfect, Cesenatico is the ideal town to provide the backdrop for your Italian holiday, particularly when travelling with kids. 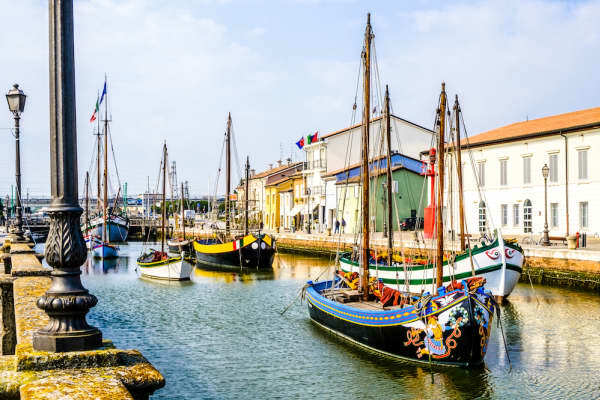 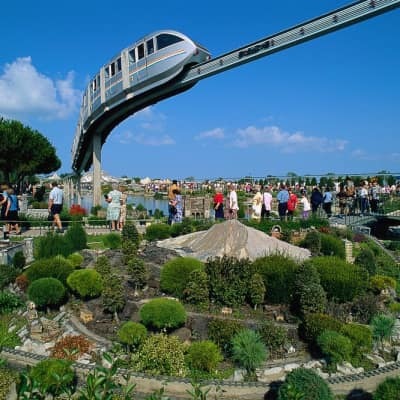 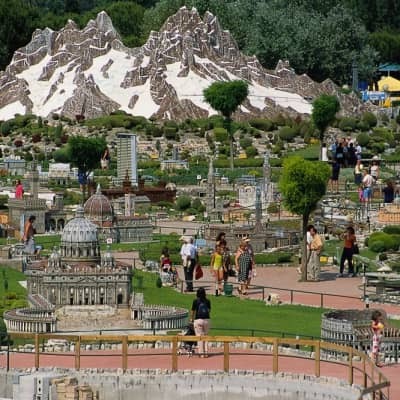 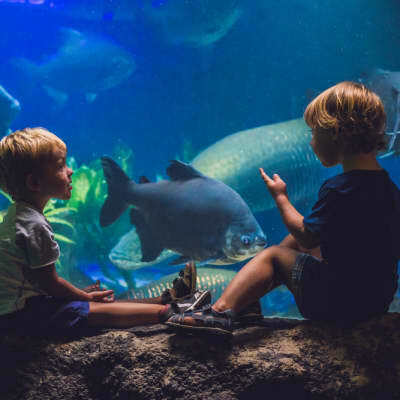 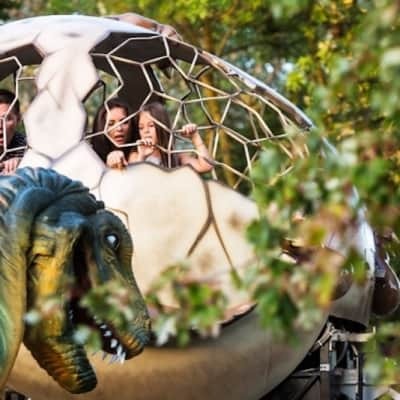 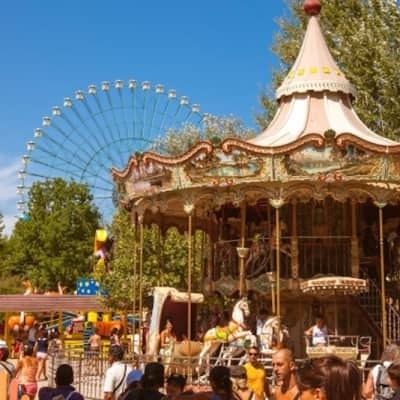 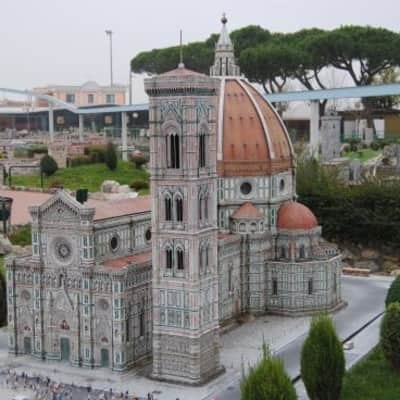 Not only do you get to enjoy a classic Italian fishing town with a wonderful authentic atmosphere and fabulous food, but Cesenatico is close to so many attractions that kids simply love. 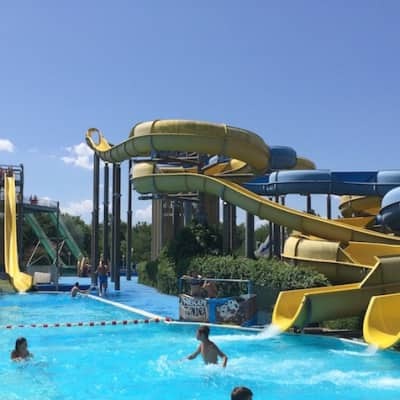 With a total of 6 fantastic pools and over 1000 metres of whirling waterslides, the Atlantica Water Park in Cesenatico is suitable for all tastes and ages. 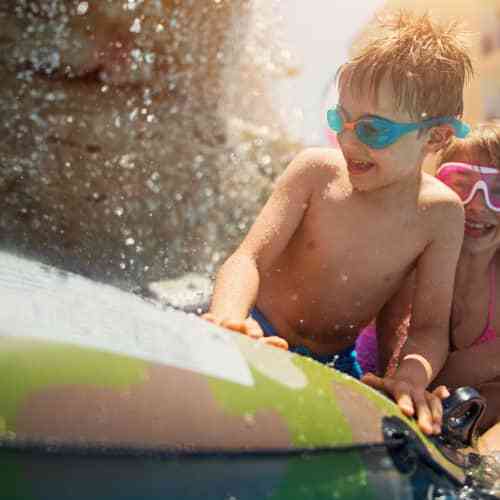 Whether you’re into thrills and spills or relaxing in the sunshine, close to the water’s edge, you’ll find what you’re looking for here. 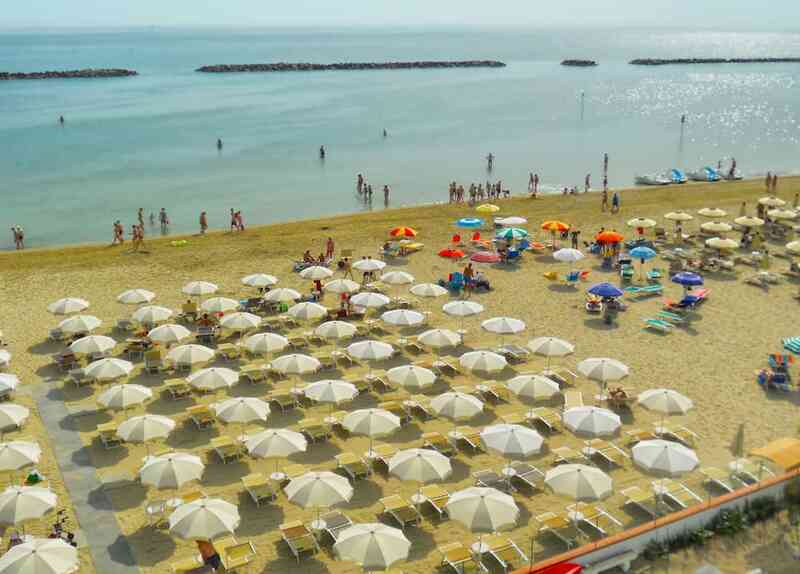 Atlantica Water Park in Cesenatico is a newly renovated water park that has something for just about everyone. 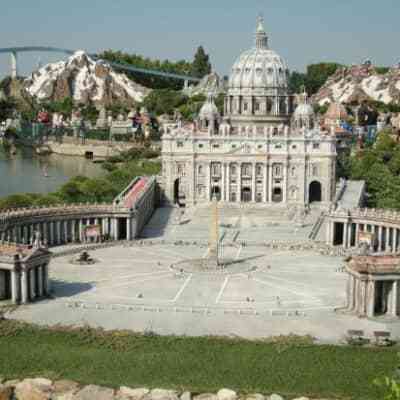 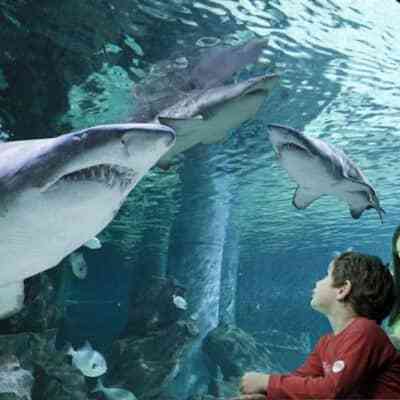 It features 6 different pools, each catering for a different taste and level of activity. 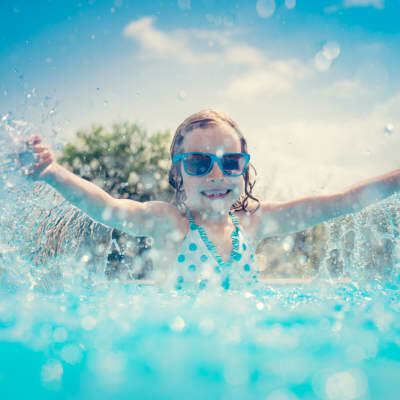 You can be as active or as relaxed as you like here. 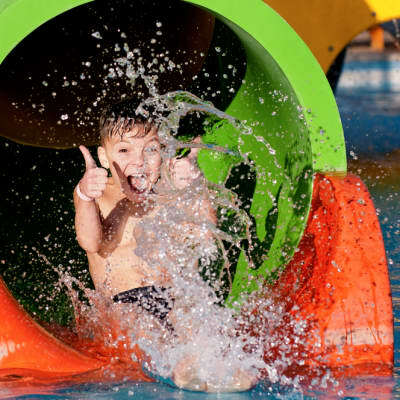 Try out some of the 1000 metres of whirling water slides or simply relax by the waters edge dipping your toes in and enjoying the sunshine. 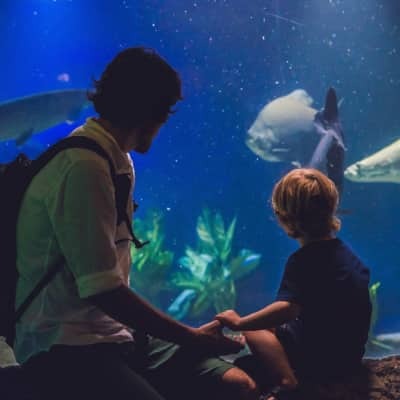 The Slow Wave River caters for those who want to chill out and enjoy a slower pace. 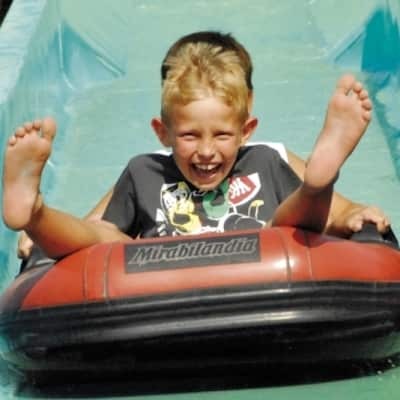 Relax in your inflatable ring as the gentle wave of the river takes you through an unforgettable landscape. 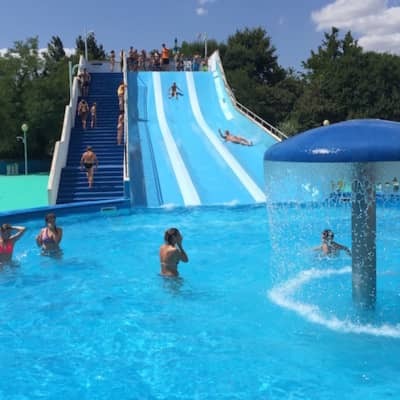 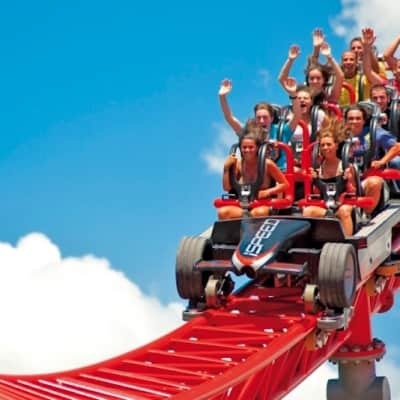 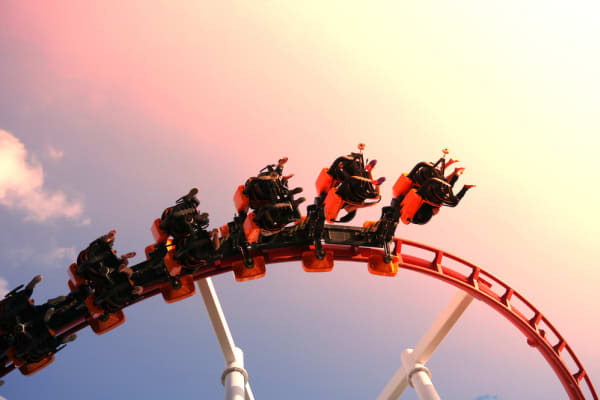 Or if you feel like upping your pulse rate, try the Wave Mad Kamikaze, a slide with a hair raising descent that plummets you to the water below. 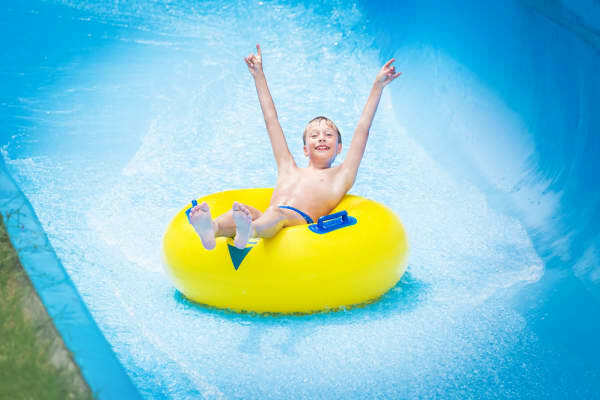 From relaxing to adrenaline-pumping and everythng in between, Atlantica's vast range of slides, thrills and spills will keep you entertained. 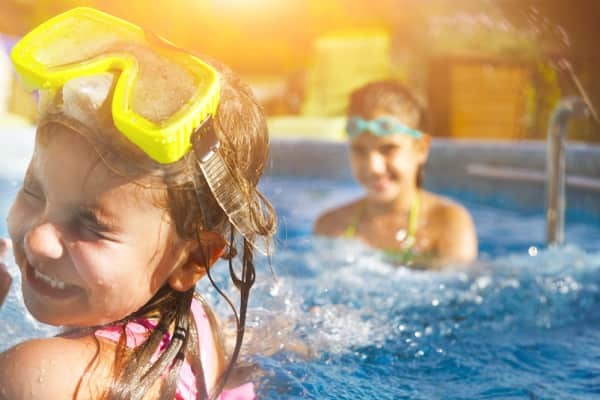 There are also a huge range of fun and exciting activities organised daily here including parties, aqua aerobics, shows and a kids club.